Marion and Gordon Foster have generously donated an original painting titled “Bountiful Harvest” to be auctioned at our upcoming weigh off. As many of you have seen in the past our resident artist Marion does fantastic work in all of her creations. This will be a chance for one lucky bidder to own this amazing painting. 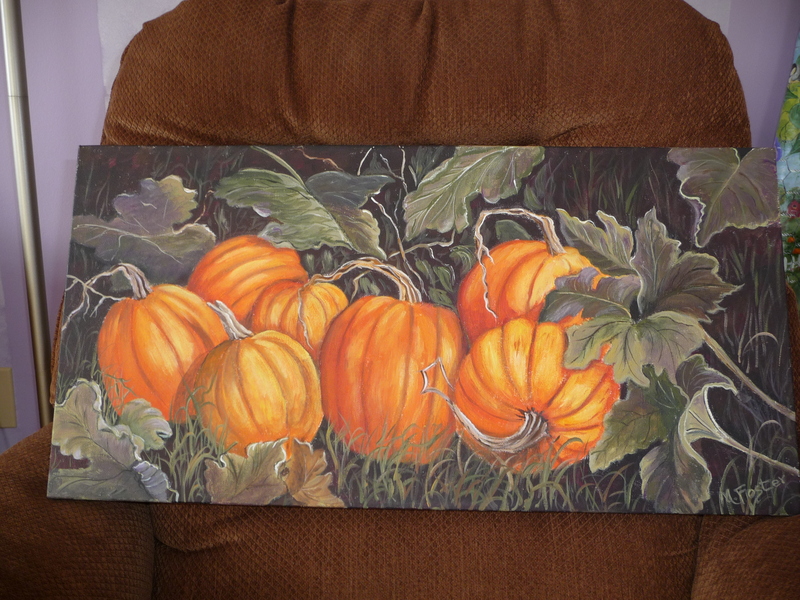 The size is 12 X 24 painted to the edges so it can remain unframed or you can have it framed. So sharpen your pencils and look for the silent auction bid sheet and painting near the registration desk at Glad Gardens.